Have you passed up on a Nintendo Labo kit because of its $70 price tag? Well, now’s your chance to grab one for just $39.99. But don’t wait, this deal won’t last forever. 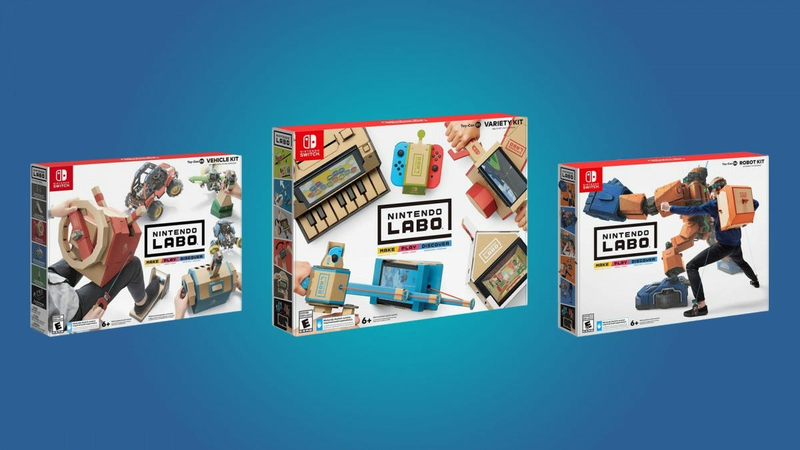 Right now, Best Buy is offering a massive $30 discount on all of its Nintendo Labo kits. It’s no secret that we love the Nintendo Labo, and we’d recommend one to anyone who loves innovation or engineering. The Nintendo Labo kits aren’t just a fun toy, they’re also a great educational resource. These kits are filled with rudimentary engineering and programming challenges, and they can give kids (and adults) an appreciation of what can be done by hand, off-screen. There aren’t many big-name toys that prioritize education anymore, but the Nintendo Labo is a fantastic exception. All of these kits focus on different activities, and you’ll want to buy whichever one seems the most appealing. The Variety Kit has an emphasis on tools, like fishing rods and musical instruments come alive when connected to the Switch console. The Robot Kit focuses on motion controls and lets players control an on-screen robot with their arms and legs. And the Vehicle Kit is, as you can imagine, focused on cars, planes, and boats. Whether you’re a gamer, a collector, or a wonderful gift-giving human being, this is a great opportunity to scoop up a Nintendo Labo kit (or two) for a seriously low price. Just keep in mind that a deal like this won’t last forever, so grab it while you can.